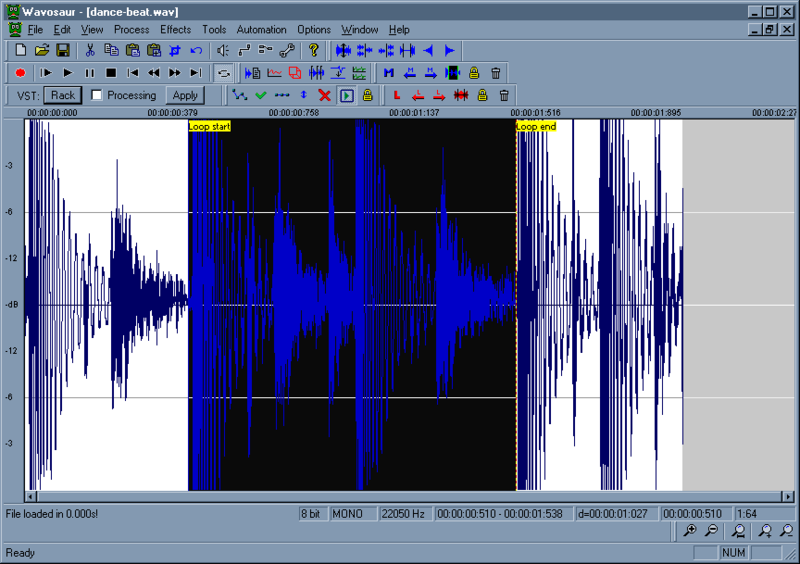 Wavosaur can recognize loop points and markers information embedded in .wav files. You can also create loop points and insert markers in Wavosaur. These informations are saved in the .wav file. To insert loop points in your file, press the "L" key or go in menu Tools -> Loop -> Create loop points. 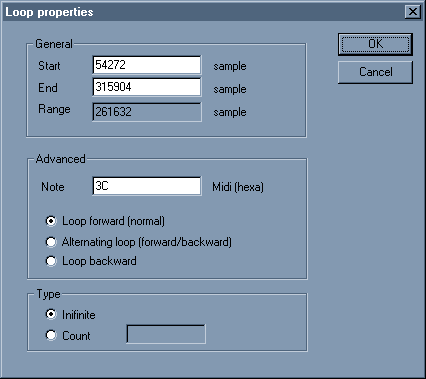 Loop points are inserted at selection start and stop, if there's no selection, loop points are inserted at file start and file end. You can drag the loop points with the mouse. Double click inside the loop points make out a selection. You can enter a MIDI note value (enter the hex code !) for the root note. You can select the loop type and number. This loop informations can be read in samplers.